Known as one of the most sought-after tourist destinations in Germany, Lower Saxony offers the holiday camping getaway of a lifetime. From stunning seaside views to nature and culture at their finest, this region is ideal for everyone. Speak with a professional at LUX-Camp to find out more! A climate that is varied throughout the year. Numerous holiday camping sites to experience. Both ancient and modern attractions. 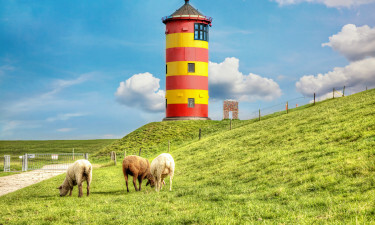 Lower Saxony has been inhabited for thousands of years and thus, the culture is as unique as the architecture and the food. One of the main attractive qualities of this region is its diverse sense of nature. Snow-capped mountains are punctuated by rolling green pastures alongside thick, pristine pine forests. Much of the allure of Lower Saxony is derived from such qualities. 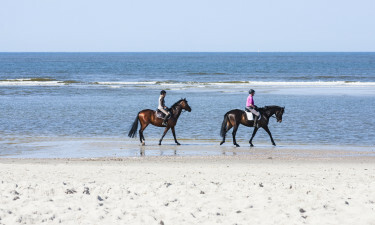 Unlike inland portions of Germany, North Sea beaches are easily accessible. This is a further feature which sets such a stunning area apart from the rest. Anyone desiring a camping holiday defined by luxury will be pleased with what is offered at Südsee-Camp. This site is open throughout the year and dogs are welcome. Its 90 hectares of land ensure adequate levels of privacy while just over 1,500 pitches can accommodate even the busiest of seasons. Nearby activities include golf, boating, angling and thermal baths are found only 12 kilometres away. Those who wish to avoid the salt water will be pleased to know that there is an open-air pool equipped with a water slide found within Südsee-Camp itself. Known for its temperate climate, lush forests and hills tend to dominate the region while it is always possible for skiers and hikers to enjoy an excursion to higher peaks found nearby. The beaches here are known for their find sands and rather tranquil waters (in relation to the North Sea). Notable examples include Dose, Dorum and Wangerland. Skiers have the privilege of visiting Ravensburg Resort; one of the most popular destinations in all of Europe. 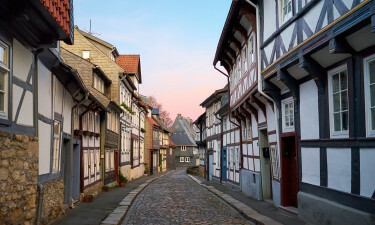 The variety of historic cities such as Hanover, Oldenburg, Wolfsburg and Celle provide excellent windows into the past and the countless street fairs are sure to offer up some unforgettable experiences. Other attractions include Gifhorn Castle, Bohme River and the open expanses of the Herrenhausen Gardens. Organic meats and fish tend to define the traditional Lower Saxon diet and some dishes at not at all dissimilar to foods found in the United Kingdom. The rich beers are ideal for fans of drink and above all, residents are warm and welcoming. Contacting LUX-Camp is the best way to learn more about a camping holiday in Lower Saxony.